Deep ruby color; cherry, dark fruits on the nose; black cherry, plum, blueberry, oak, spiced herbs, hint of mint on the palate. Dry; medium body; mild textures with some tannins and a pleasantly firm structure and acidity (3.65 pH); 14.3% ABV. This is a surprisingly good effort for the price. While it lacks complexity and depth; it is not the insipid merlot you could expect at its price point (more on pricing at the end of this review). I catch a soupçon of chocolate and coffee on the mid-palate and finish after time with air on the second pour. 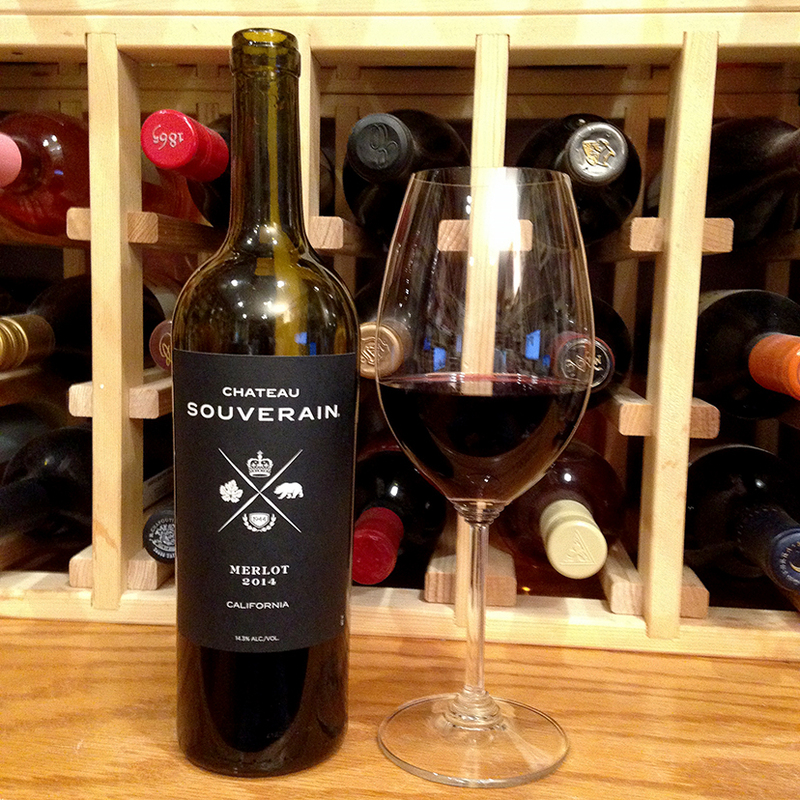 J. Leland “Lee” Stewart founded Chateau Souverain in 1944. In 1974, Stewart produced a Vintage Selection Cabernet Sauvignon ($7-8) that a young Robert Parker raved about—a recommendation that helped launch Parker’s career. Souverain continues to make nice wines, although maybe not to the 1974 heights (according to Parker). Stewart named his winery “Souverain” on the suggestion of his daughter as a play on the French word for “sovereign.” In 1958, Lee gave legendary winemaker Mike Grgich his first job in a Napa winery. Originally located on Howell Mountain in Napa, the winery moved to the Alexander Valley in Sonoma in 1973 after Stewart sold the operation to Pillsbury. Sadly, Pillsbury ran the winery poorly and it went into bankruptcy. In 1980, Stewart retired. 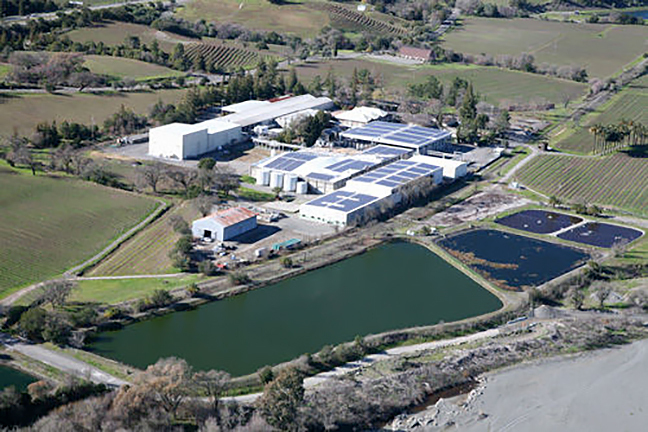 Wine World Estates, a Nestle subsidiary, brought the winery out of bankruptcy in 1986. 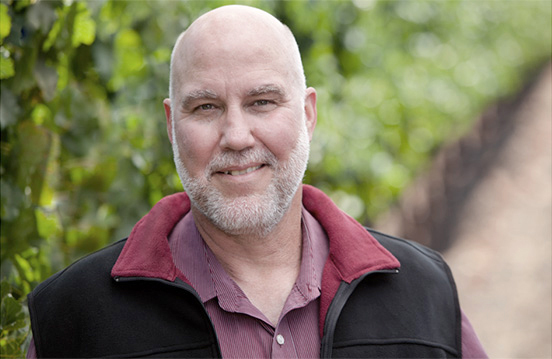 In 1992 Ed Killian joined the winery, becoming head winemaker in 1996. In 2006, the winery sold its historic Chateau Souverain building to Francis Ford Coppola and moved to the historic Asti winery—the longtime home of Italian Swiss Colony—as part of a consolidation by then-owners Treasury Wine Estates, the owners after Wine World Estates. In 2014—beginning the with the vintage in this bottle—the winery rolled out a new label, logo, and crest to honor Lee Stewart, his signature black glasses, and his home state of California. In 2015, Treasury sold Souverain to E.&J. Gallo. Winemaker Ed Killian continues Stewart’s focus on varietal wines. Killian’s more than 25 years of work in Sonoma and the Alexander Valley helps him use fruit to stay true to Souverain’s rich, smooth style. A native Californian, Killian earned his BA in biology a the University of Redlands and his MA in enology at UC Davis. Chateau Souverain Merlot, California 2014 is straightforward, quality merlot for the price. Certainly works as an everyday wine, particularly if you enjoy softer, smoother, uncomplicated pours. Pair with lamb burgers; roasted chicken; meatloaf; pork loin; veal chops with portabello mushrooms; shepherd’s pie; spaghetti and meatballs; macaroni and cheese; jambalaya; mild to medium, not strongly, flavored cheese. $9-13.